I have a reader complaining of audio ads popping up on the site. I’d note we take Google Ads. I don’t have control over what Google decides to run, but I can block specific ads. I just recently switched off the type of ad that allows audio to be played upon mouseovers. If you notice any ads that auto play, or notice sound coming from the site, let me know. I don’t specifically want anything that auto plays sound appearing on this site. If that’s ever the case, it’s a mistake. UPDATE: I read somewhere online that Sitemeter was doing ad injection. SayUncle noted it was Sitemeter. I’ve removed Sitemeter. I don’t need them when I have analytics. Yep… I just blasted them. Are google ads really with the hassle? I’ve never used them on a website. I’ve monetized my YouTube channel (I have a few videos with more than 5k views in the first week after publishing them). I’m actually going remove the monitization. It pays for the costs of running the site, with a little left over. That’s better than I thought they paid. It might cut back on their ytube and prnhub hobbies, but most reasonable people don’t expect everything, everywhere, every second, everytime from everybody. Personally, I think a lot of people just really like b!tching. I don’t mind when people complain about the site not working the way it should. That’s something I want to fix. Plugins to do that on Chrome are in their infancy, and don’t work particularly well due to their hacked-together nature. Perhaps I’m the only one with this problem, but I’ve noticed that sometimes the sidebar on the right-hand margin lays over top of the comments text field, making it impossible to read the comments on my iphone screen. That happens when someone pastes a long URL. I’ll usually fix it when I notice it. I’ve noticed this myself, with Samsung Note’s default browser and Chrome. Firefox gets it right (and so when I’m reading SNBQ I make sure to use Firefox), but for some reason, there’s a script on SNBQ that FireFox doesn’t like…and it can sometimes be abnoxious to have to close those popup dialogues. scary possibility: there might have been another vector for ads that play sound obnoxiously. At least, if the user was running Chrome, and was running an add-on that was resold to a an advertiser who wanted to play such ads. 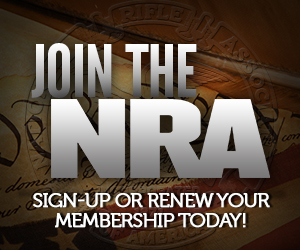 Didn’t realize that you even had ads, I’ve never seen anything other than your Join the NRA banner. I’ve been running an ad blocker for more than a decade now, these days I’m running a Chrome plugin called AdBlock. I’m always surprised that people are willing to use a browser without something similar. My fundamental problem with ads is not typically the actual advertising content (so long as that does not include audio spam), but the sloppy coding used in many advertisements. These poorly coded advertisements in turn lead to a major decline in browser stability, and are also compromised with malicious software on a regular basis. I have a Flash blocker for that very reason.